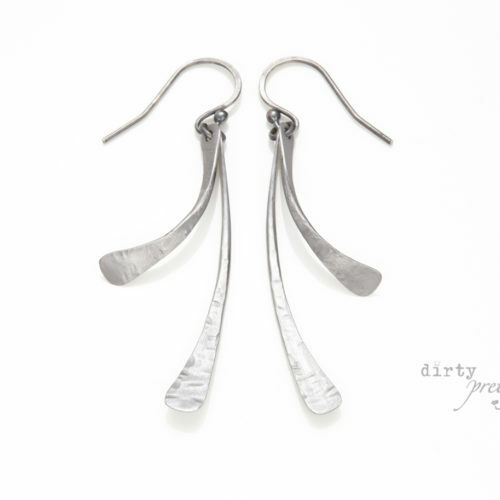 Sustainable jewelry designs, ethically handcrafted. When people talk about “sustainable jewelry” or “ethical jewelry” the focus is almost always on materials. And while avoiding “blood diamonds” and “dirty gold” is a great place to start, the conversation shouldn’t end there. In fact, the WAY your jewelry is crafted is just as important, and this is my inspiration for every design. My mission is to handcraft uniquely beautiful jewelry that’s safe for you to wear, safe for the environment, and safe for me to create. It’s designed to last you a lifetime with the dream that these special pieces will become family heirlooms. Traditional jewelry fabrication – even exquisitely handmade pieces, usually involves the use of hazardous chemicals and fire. Things like cyanides, acids, solvents, compressed gases, investment dusts, polishing compounds, and solders. At dirtypretty, we do things differently. I use NONE of these toxic materials. In my studio you’ll find white vinegar, Simple Green biodegradable cleaner, baking soda, soap, and water. With dirtypretty artwear, I’ve challenged myself to discover what I can create with old school techniques that involve little more than simple bench tools and good old fashioned elbow grease. So far, the possibilities are endless! Designing from this ethos allows me to offer the world beautiful, modern rustic jewelry pieces that are truly one of a kind and carry a feeling of “doing good” in the world when wearing them. 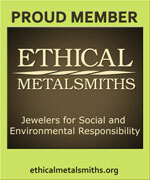 – I am an Ethical Metalsmith. 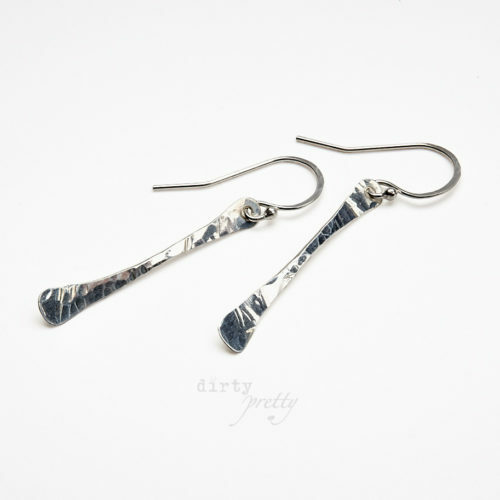 – Dirtypretty uses recycled sterling silver, ethically mined gold, and alternative metals like iron and steel. – 100% recycled and recyclable packaging. 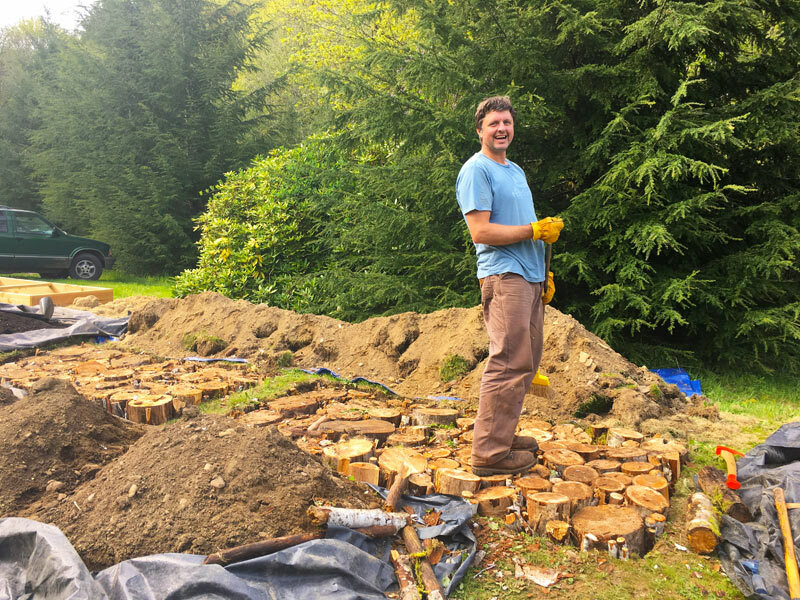 – Each piece is created, one at a time, with my own two hands in my studio on our sustainable, permaculture homestead. 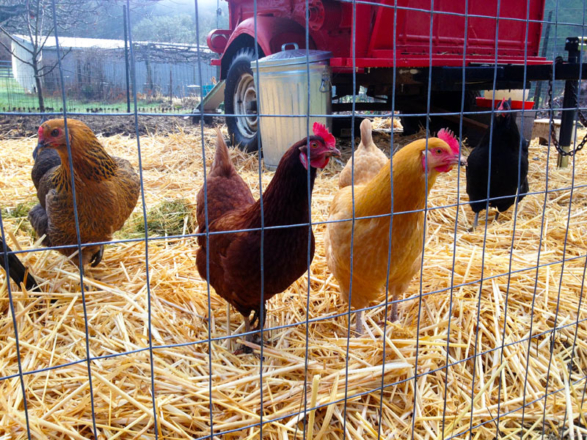 – Patina (darkening) of silver for aesthetic effect is done with eggs layed by our chickens or occasionally with Liver of Sulfur, a naturally occurring sulfur compound that’s rendered inert with simple baking soda and is a wonderful fertilizer for our brilliant blue hydrangeas. – Hand polish each piece using successive grit papers and physical labor. 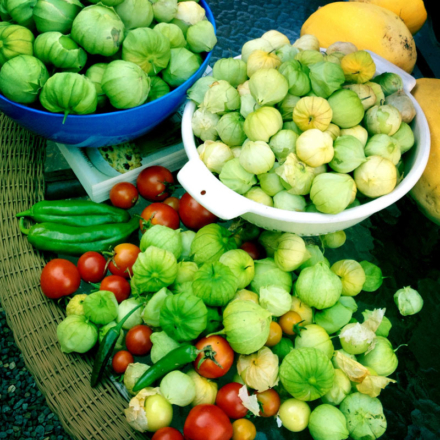 – I use local suppliers whenever possible to support small businesses and limit our carbon footprint as much as possible. – We return all precious metal scraps to our supplier so they can be recycled into new metal sheet and wire. -This means I avoid the acid pickling solutions necessary for removing fire scale (darkening) that occurs on metals when heated. – This also means that every hammer stroke has to count. I have to be precise when I shape the metal because there are no do-overs. When metal is hammered or bent it becomes “work hardened” and the only way to soften it again is through heat treatment. THIS is why I practice so much before new designs are launched! – The dangers of wildfires are a very real threat here in the summertime, but I sleep well knowing there are no flammable gases on our property and there’s no open flame in my studio. 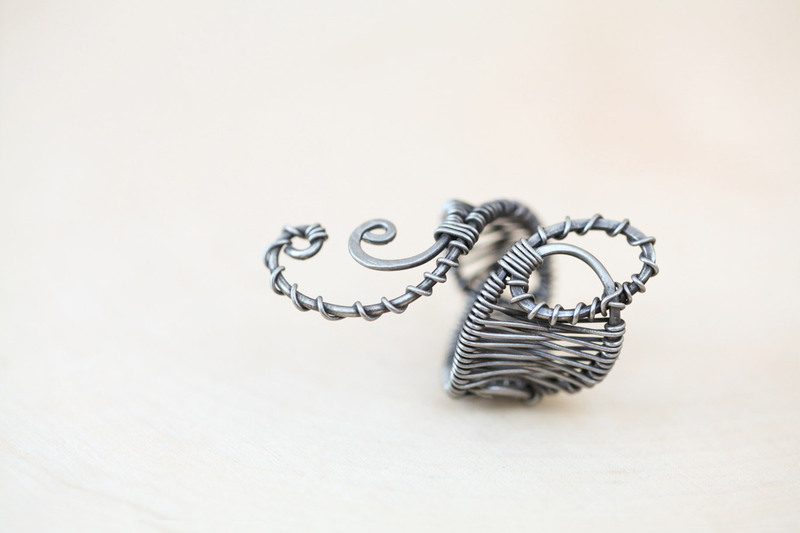 – Instead I find ways to use “cold connections” in all designs like handmade rings or rivets and weaving/wrapping techniques. – No mass made jewelry here! Every component is individually fashioned, and by not casting I avoid atmospheric ozone depleting sprays (to release pieces from their molds) and the burn off from casting wax which can contain sulfur and chlorine gases. – Plating operations generate hazardous wastes when the plating solution is rinsed off jewelry pieces and contaminate the rinse water. I don’t use any plated silver or gold in my designs. – Why would I use a product that bears a warning label stating “This product contains a chemical known to the State of California to cause Cancer, birth defects and other reproductive harm”?? 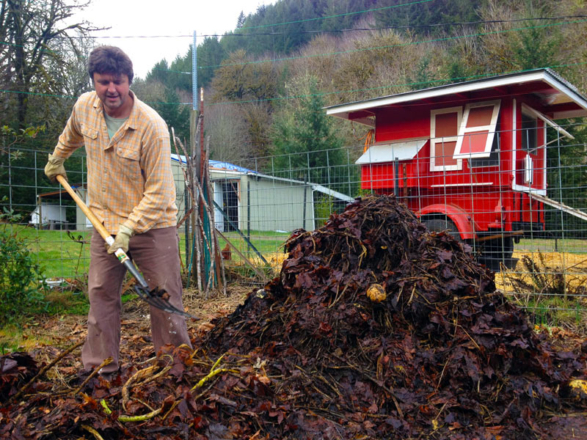 I’m a healthy individual with 2 strong arms and a willingness to do things by hand. Polishing papers, a respirator, and some safety glasses for me are all I need. Now, I’m not going to lie. Sometimes I’m jealous of the extremely beautiful things people create when they use techniques that involve fire and chemicals. But until I’ve run out of ideas rooted in our mission statement, I’m just not going to go there. This is my way of contributing to the change I want to see in the world. I believe that simple, sustainable, and responsible is beautiful and I feel proud to wear it. Nothing is ever a perfect practice, though, and we’re still looking for ways to improve our process and make dirtypretty artwear the very best it can be. 2. Continue to have conversations with our material suppliers and push them to be transparent about their mining and fabrication processes. If we don’t like what we hear – we get new suppliers. 3. Develop a jewelry collection designed to raise funds for specific charitable organizations. Each year, in honor of October’s Breast Cancer Awareness Month, we do a local sale to benefit Gilda’s Club. We want to do more good! 4. Continue to direct profits from dirtypretty artwear into our permaculture farm “Earthling Revolution” so that we may grow a surplus of food to donate to our local food bank and food swap held at the mercantile. So this is what we’re doing. Trying to make a difference one piece of art at a time. Let us know what you think, we’d love to hear from you! Let’s build awareness through conversation and connection, since we’re all in this together, right? Thanks for taking the time to read this, and much love to all you Earthlings!! 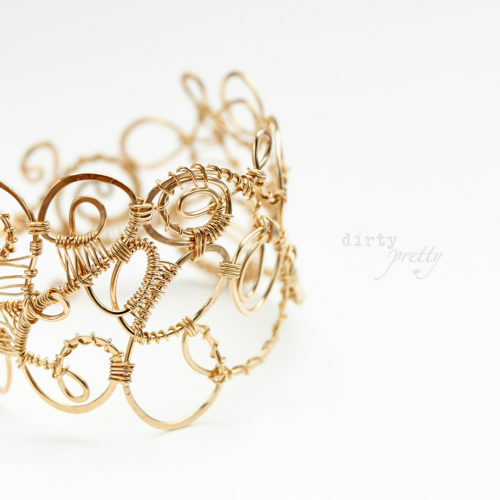 dirtypretty artwear – sustainable jewelry designs, ethically handcrafted.